With April’s sudden heatwave in the UK we were all convinced summer was upon us, however it has now become evident that that was a little premature. Nothing beats a summer glow, when you’ve just got back from a holiday and your sun kissed skin is so naturally radiant that you don’t even need to use foundation. But even we can’t rely on the English weather, we can certainly rely on these three skincare essentials that I have been using (and loving) myself recently. No matter what makeup you use, you’re never going to gleam if the base canvas isn’t right. Start by exfoliating all the dead skin cells that are sitting on the surface of the face; this will not only stimulate blood circulation but also reveal shiny, new, fresh skin underneath. 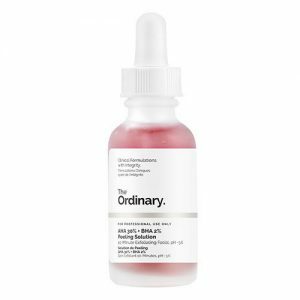 For this you can use a traditional scrub or, if you’re feeling adventurous, you could try a home acid peel like the one below from cult brand The Ordinary. Don’t be put off by scary words like “acid”; it doesn’t harm the skin but just gently removes the top layer, and can be used twice a week in the evening for optimum results. And at just £6.30 this is a far more purse friendly treatment than visiting a salon. Next your toner. Toner is a step often missed out in everyday skincare, but it is an essential step as it removes remaining traces of dirt and grime whilst also neutralising any unwanted oils. 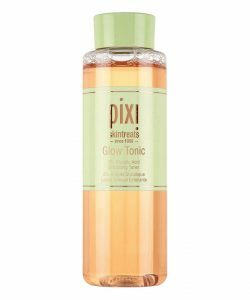 Recently I tried Glow Tonic by Pixi; this gentle everyday tonic should be swept across the skin with a cotton pad just before moisturiser. A little goes a long way so don’t soak your cotton pad in it and try to avoid going too close to your eyes. 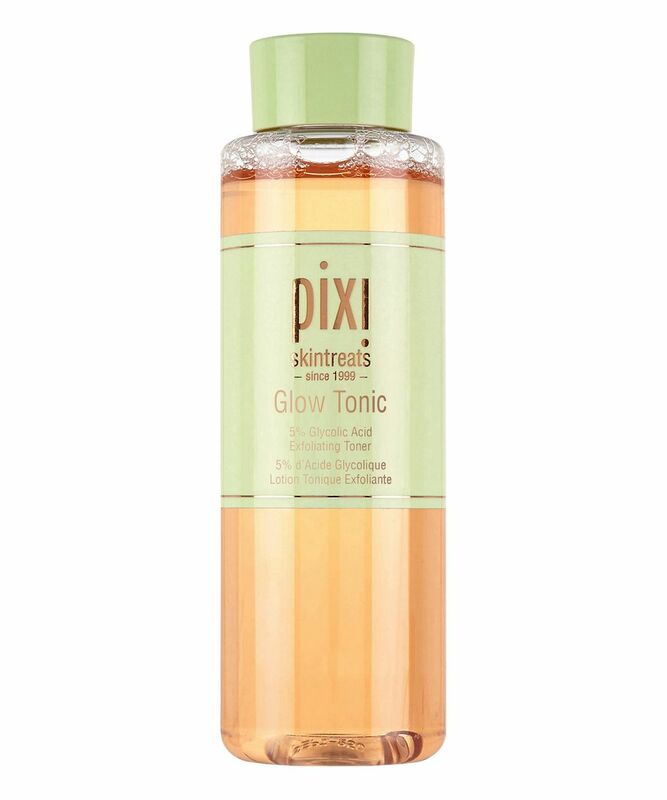 Glow Tonic smells great and brightens up your skin, and does exactly what it says on the label, gives you a wonderful glow. Retailing at £18 this is an affordable luxury. Moving on to moisturiser. Women often end up accumulating multiple moisturisers for different occasions. A richer one for winter, a thicker one for night time, a lighter lotion for the day etc. The best way to have all aspects covered it to opt for a multi-use one. 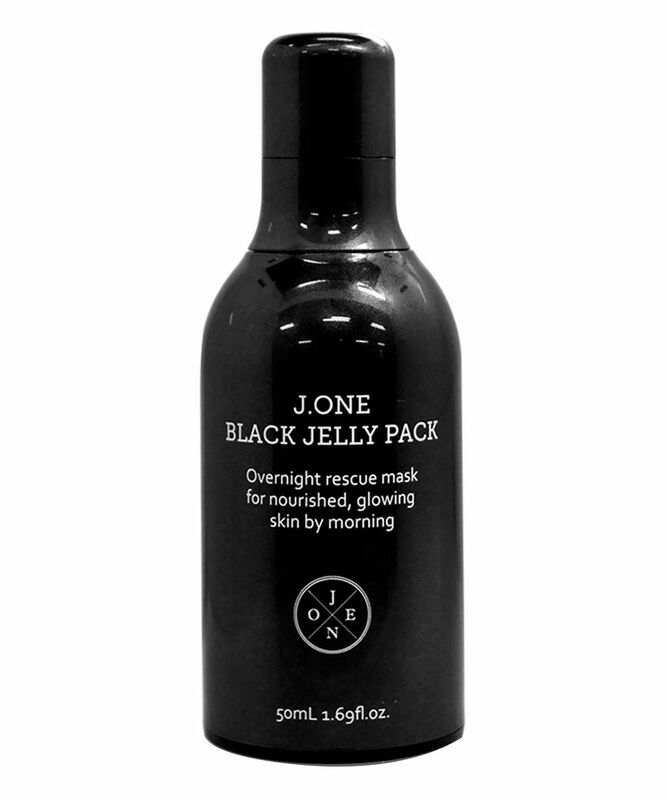 I have recently discovered Black Jelly. Hailing from Korea, the pioneers of cosmetics, this gel like consistency contains traces of squid ink (hence its dark colour) to help revitalise and plump up the skin. Because it’s a gel, one pump is sufficient to cover you for a morning under-makeup moisturiser. However, if you want to give your skin a treat, 2-3 pumps lavished on your skin of an evening turn this into an overnight mask. At £36 it’s a little pricy, but if you think of the accumulative price of two or three different moisturisers you are essentially saving money! That’s what I tell myself anyway!